If many of a certain generation tried to avoid going to Vietnam at all costs, now these same travelers may be tempted to explore a densely textured destination as historic, culturally rich and scenically stupefying as any country on Earth. Legend has it that the dragon that created civilization dove into these waters (Ha Long means "descending dragon") to his rest. There is a mythic, supernatural quality to this bay on the Gulf of Tonkin, east of Hanoi, that must be experienced to believe. Limestone "haystack" islands draped in jungle foliate erupt from the placid bay, fishermen in dragon-headed boats lay their nets, caves both above and below water level invite exploration. There are some 700 islands in the bay, and nowadays you can sea kayak among them with local tour operators — although in ancient times the Vietnamese general Tran Hung Dao outwitted the Chinese navy here. Few capitals necessarily qualify as "wonders" — Paris comes to mind — but Hanoi belongs in that class. It was first made capital of Vietnam in 1010 A.D., along a bend in the Red River, and even today, 996 years later, it's still a rush of urban energy and pastoral ease. 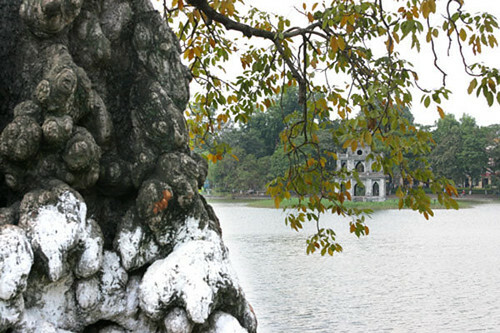 Walk around the central district's Hoan Kiem Lake in the cool morning hours, while the locals do their daily tai chi; shop in the narrow streets of the Old Quarter where tradesmen have practiced in the same shops for up to 25 generations; dine European, Asian, or fusion at one of the many restored colonial mansions. Even knowing in advance that the Cao Dai religion counts among its saints Victor Hugo, Louis Pasteur, and Sun Yat-Sen does little to prepare the visitor for the psychedelic splendor of its Holy See. Primary colors run riot over plaster dragons, flowers, and figurines crawling up the pillars and walls, while the all-seeing eye (a Masonic symbol also found on the US Great Seal) is everywhere. 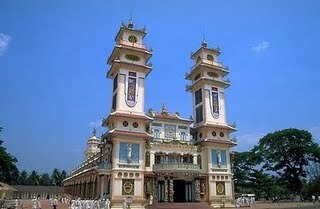 The temple is just a short drive from Ho Chi Minh City, and elaborate services and ceremonies are held almost daily. The Mekong's route begins 2,500 miles upstream in Tibet, and its course through China, Burma, Laos, Cambodia and Vietnam is a waterway through the exotic. It flows into the South China Sea through a delta of many streams (its Vietnamese name, Cuu Long, means Nine Dragons), a fertile region known as "the ricebowl of Vietnam." 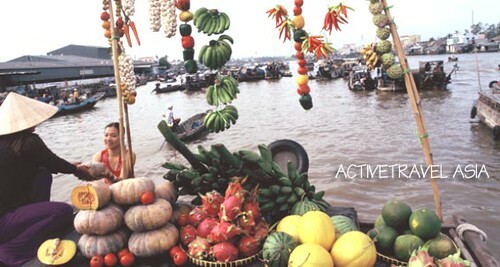 The highlight for most visitors are the floating markets of Cai Be and Vinh Long, where you can get everything from fruits, flowers, and handicrafts to exotic snakes — and dishes as memorable as the “elephant's ear” fish (not endangered). 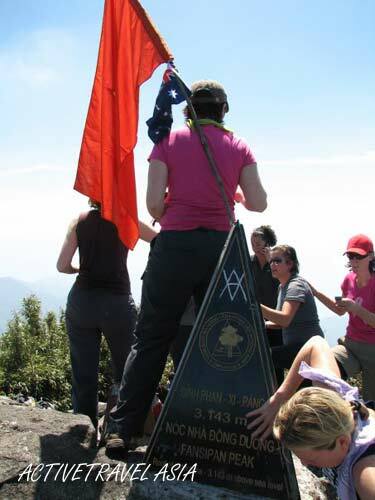 The Tonkinese Alps create the barrier between Vietnam and China to the north, and their highest peak is Mount Fansipan (10,312 feet). Most people don't think of going to Vietnam to go mountain climbing, but consider this multi-day trek anyway, not only for its spectacular views into China but for the hilltribe villages you pass through en route. The route begins in Sapa, a popular tourist center in the midst of hill country, then forges through valleys of terraced rice fields into ever more remote villages peopled byanimistic minorities, such as the Dao, Hmong and Nung. Frommer's Guide on the Tokinese Alps. With its centuries of warfare and commerce, napalm and revolution, it's hard to think of Vietnam as a wildlife hot spot, but it is becoming increasingly recognized as such. 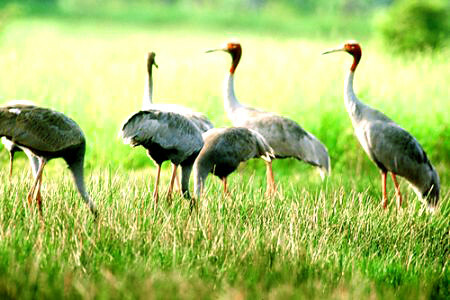 Exotic creatures such as several rare species of langurs, gibbons and monkeys; wild boars and the extremely rare brown-antlered deer vie with lizards, snakes and birds for life listers. Although habitat loss in this growing country is a problem, an even bigger one is the catholic appetite of the Vietnamese palate – and the illegal trade in endangered species and restaurants that serve them. The most recent of Vietnam's World Heritage Sites is the Phong Nha-Ke Bang National Park. 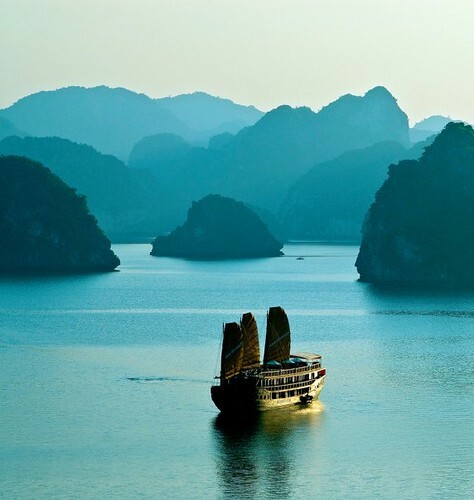 Travelers to Southeast Asia are well aware of the widespread karst formations of the region (Ha Long Bay is one such). 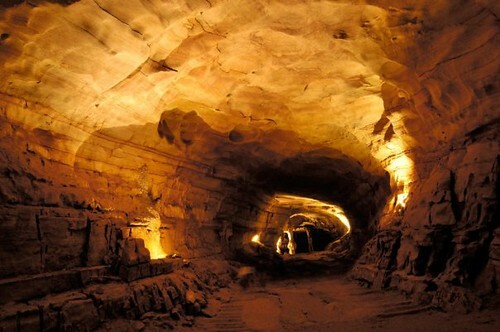 Karst topography is limestone-based, riven with caves and cracks, given to weird shapes and striking vistas. The formations in Phong Nha-Ke Bang are among the world's oldest, 400 million years old; its geomorphology is complex and a motherlode for earth sciences. Designated a World Heritage Site in 1999, Hoi An is the former main port of Vietnam in the 16th century, and today 844 of its historic structures are preserved as landmarks. You can walk down the crooked streets surrounded by the atmosphere and odors of times gone by, take a sampan ride down the Do River or the streams that lace the town, hunt the traces of the foreign traders – Japanese, Chinese, Dutch, and Indian – who made Hoi An the center of culture in old Vietnam. 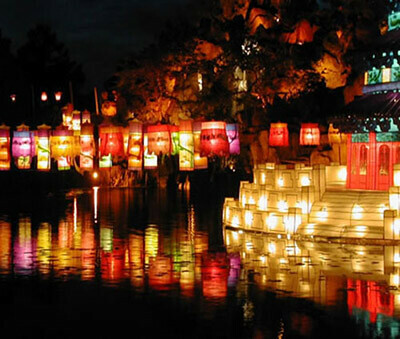 Helpful hint: visit during full moon, when the shop owners turn off the lights and illuminate the streets with candle lanterns.